How to get there: From Manila, you can take a bus going to either Alaminos or Bolinao, Pangasinan. Victory Liner has a regular bus schedule from its Quezon City Terminal. Since I came from Paranaque, I went to their Pasay Terminal, unfortunately they do not have a direct route to Pangasinan from there so I took the Tarlac bus and took another bus from there to get to Alaminos. Alaminos City proper to Lucap by Tricycle - P60, the ride took about 10-15 minutes. Accommodation: P1400 with 30% discount (P980 net) at the Pension house. A bit pricey considering the quality of the room. I did not have a chance to find a cheaper place since it was already dark when I arrived. 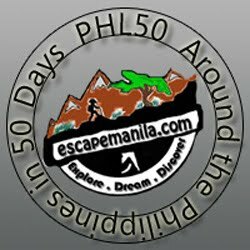 Tips: You better leave Manila during late night and arrive in Alaminos early in the morning ready to tour the Hundred Islands. There is really no need to stay at Lucap overnight as there is no night life in there.If you consider karaoke singing a night life, then there is.